A great deal of our lives is spent confined in spaces – offices, homes, cars, structures not of our making. Amanda graduated from Syracuse University as a printmaking major in 1993. After years of travel, she struck camp in the Puget Sound area, impressed by the astounding beauty of the Northwest. The unique landscapes of the region inspired her to explore them through painting and collage as well as on foot. Her emotions during these adventures have informed her bold and sometimes unusual use of color. 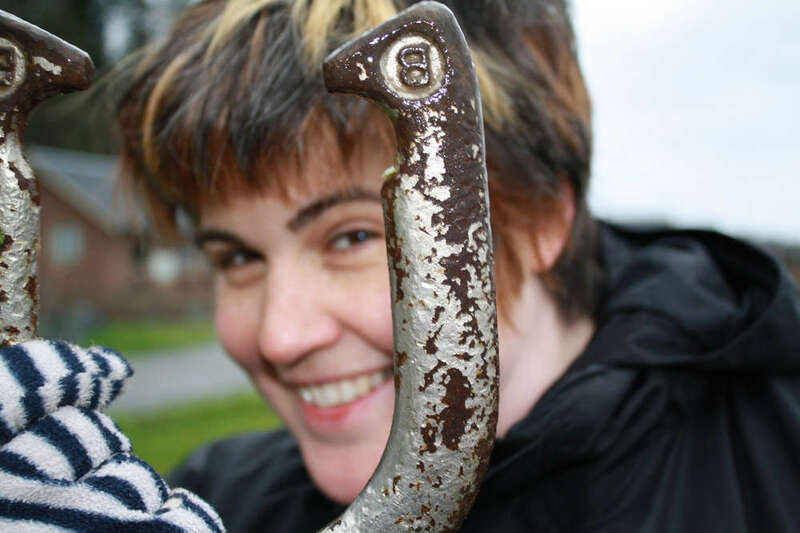 Amanda has exhibited in a number of alternative spaces throughout Western Washington for the past decade, participated in public art projects and volunteered her time in various arts organizations. The randomness and abstractness of nature and how the detail makes up the whole, this is where I find art in nature. The scurrying veins in a leaf, the twisted, arthritic branches of a mesquite tree, the imperfect symmetry of a flower’s petaled face. My mind is a repository of details both important and trivial, therefore the minutia of my surroundings is a constant fascination to me and forms the focus of many of my photographs. I enjoy concentrating on the smaller details that create the larger whole: a lone flower in the midst of an alpine meadow, a single, perfect stone lying on an endless beach of pebbles. Like the universe that dwarfs me, I am mindful of the little things, even in the scope of a vast landscape or larger subject.